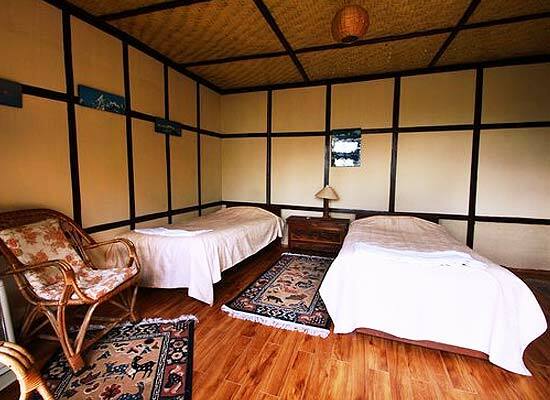 "Martam Village Resort is set in the midst of beauty and bliss of Sikkim. 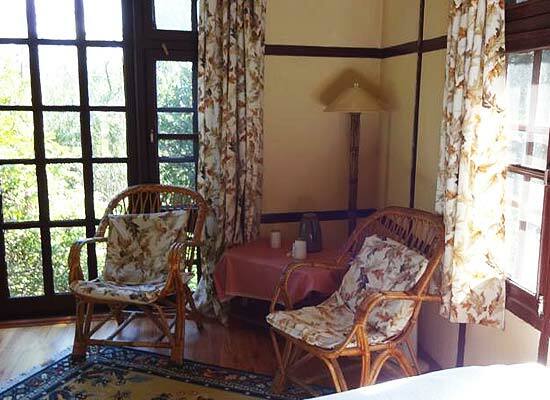 A short distance from Gangtok, the retreat is set surrounded by lush Fambongla Wildlife Sanctuary, facing the majestic Nathula mountain range. The contemporary resort has been built using eco-friendly, rustic and traditional concepts. Guests at the resort have an opportunity to be close to nature without compromising on the luxuries of modern days. Guests also have access to multi-cuisine restaurant, well-stocked bar, indoor swimming pool, sauna, massage room and an all-purpose room, can be converted into a home theatre, conference room or venue for private parties. This beautiful and tranquil resort is situated in East Sikkim overlooking a paddy field and just an hour drive from Gangtok. The friendly and efficient staff coupled with the superb accommodation and dining facilities makes your stay worth while and memorable. 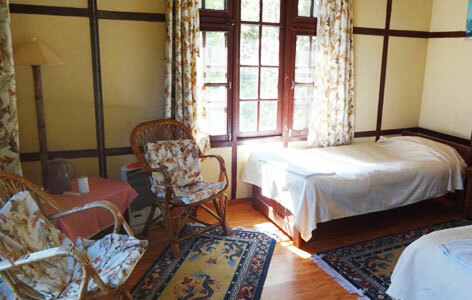 Martam Village Resort, Martam House situated away from the din and bustle of Gangtok is one of the best Heritage Properties of Sikkim. Martam Village Resort has thirteen thatched cottages which has a total of eleven spacious rooms, each with en-suite bathrooms. There is also an apartment suite with two bedrooms, a kitchenette, a huge sitting and a dining room. All the rooms have been equipped with modern amenities while supporting eco-friendly living. The retreat has been created to provide a relaxing, enjoyable, unique and an unforgettable holiday for our guests. 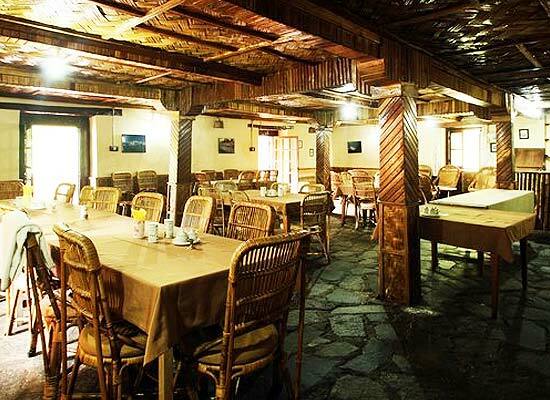 The restaurant at Martam Village Resort serves Local, Continental, Indian and Chinese cuisine. The fresh ingredients from the organic gardens of the village are used. The aromas, tastes and cooking styles are adopted from local traditions. Martam is a small village lying in the east of Sikkim. This scenic countryside hamlet overlooks the paddy fields and surrounded by dense forests on one side and on the other it is bounded by the Himalayan range. Rumtek monastery lies just 5 kilometer away from here. The Martam village is made up of three ethnic communities as in Lepcha, Bhutia and Nepalese.